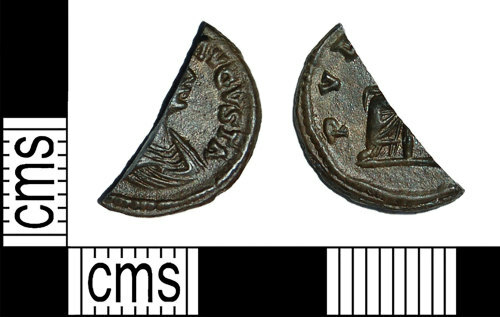 A fragment of a silver denarius of Julia Domna dating to the period AD 196 to 211 (Reece period 10). PVDICITIA reverse depicting Pudicitia seated left holding sceptre. Mint of Rome. RIC IV, Pt I, p. 170, no. 575.